Relationships take a significant amount of work and effort to survive long-term. For many people, it can be easy to allow their busy schedules and other priorities to impact the bond that they share with their partner. When evaluating your relationship, there may be a few red flags to look for to determine if you need to put more effort into your relationship. Some people may find it difficult to trust their spouse due to pain that has been experienced in the past. This can make it challenging to become closer to their significant other and have a strong foundation. It’s important to increase communication and develop the trust over time to ensure that the relationship can begin to thrive again without fear that is present. It can be easy to enter into a relationship when there are fireworks and chemistry. Unfortunately, the honeymoon stage can die off due to too much routine in the relationship. Make it a point to go on a date each week, try new activities together, and discuss your dreams for an ideal way to liven up the relationship. If you’re fighting with your partner throughout the week, it’s a sign that there are deeper issues that need to be worked on to reach a place of harmony again. Consider seeking professional help to discuss problems that continue to be brought up and how you can work with them peacefully. 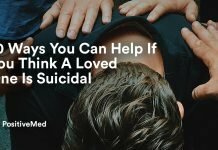 According to huffingtonpost.com, you or your partner may be prone to freaking out due to anxiety, stress, or anger. If someone in the relationship suffers from blow-ups, it’s time to begin walking away when the emotions begin to arise and give yourself 10 to 15 minutes to cool off before moving forward. 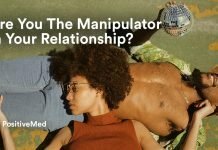 Both men and women are prone to controlling behavior in their relationships, which is often caused by jealousy or fear. Although some people may succumb to the control, it’s important to stand up for yourself and remain independent in the relationship. This can easily cause a wedge between you and your family or friends if you’re always at the mercy of your partner. One or both of the partners in a relationship may be insecure, which can be due to a lack of self-confidence with physical appearance or with what they can offer emotionally to their partner. It’s important that each partner encourages one another and communicates what they appreciate about the other person for increased security together and a stronger level of trust. 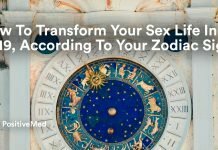 According to psychologytoday.com, many people assume that they have a healthy relationship with their spouse if they’re co-dependent of one another and need to be needed. One or both of the partners may find it difficult to do activities or have other relationships outside of their bond with their significant other. They may also only be happy when they’re with their partner and may be dependent on them for their emotional needs and security. It’s important that anyone in the relationship who struggles with co-dependency begins working on themselves as an individual and avoids placing their happiness in the hands of their partner.